Exploring the universe is a bit like groping around a dark room. Aside from the occasional pinprick of starlight, most objects lurk in pitch darkness. But with the recent launch of the largest-ever infrared space telescope, it’s like someone walked into the room and flipped on the lights. Suddenly, those dark spaces between stars don’t appear quite so empty. Reflected in the Herschel Space Observatory’s 3.5-meter primary mirror, astronomers can now see colder, darker celestial objects than ever before–from the faint outer arms of distant galaxies to the stealthy “dark asteroids” of our own solar system. Many celestial objects are too cold to emit visible light, but they do shine at much longer infrared wavelengths. 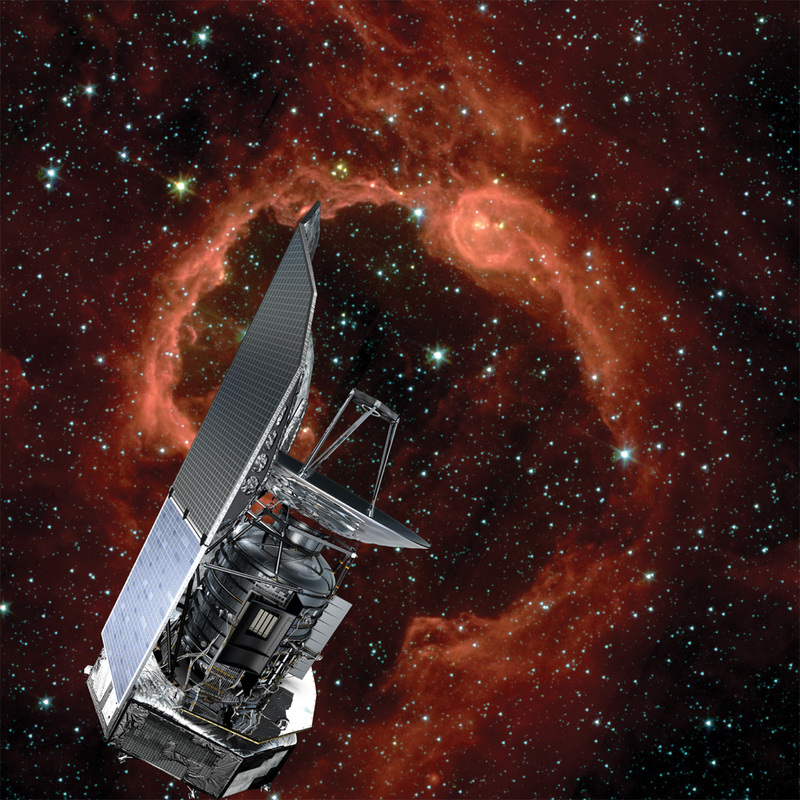 And Herschel can observe much longer infrared wavelengths than any space telescope before (up to 672 microns). Herschel also has 16 times the collecting area, and hence 16 times better resolution, than previous infrared space telescopes. That lets it resolve details with unprecedented clarity. Together, these abilities open a new window onto the universe. ”The sky looks much more crowded when you look in infrared wavelengths,” says George Helou, director of the NASA Herschel Science Center at Caltech. “We can’t observe the infrared universe from the ground because our atmosphere blocks infrared light, and emits infrared itself. Once you get above the atmosphere, all of this goes away and suddenly you can look without obstruction.” Herschel launched in May from the Guiana Space Centre in French Guiana aboard a European Space Agency Ariane 5 rocket. Since then, it has expanded the number of distant galaxies observed at far infrared wavelengths from a few hundred to more than 28,000. And with the instrument testing and system check-out phases finally completed, the discoveries are only now beginning. Beyond simply imaging these dark objects, Herschel can identify the presence of chemicals such as carbon monoxide and water based on their spectral fingerprints. “We will be able to decipher the chemistry of what’s going on during the beginnings of star formation, in the discs of dust and gas that form planets, and in the lingering aftermath of stellar explosions,” Helou says.